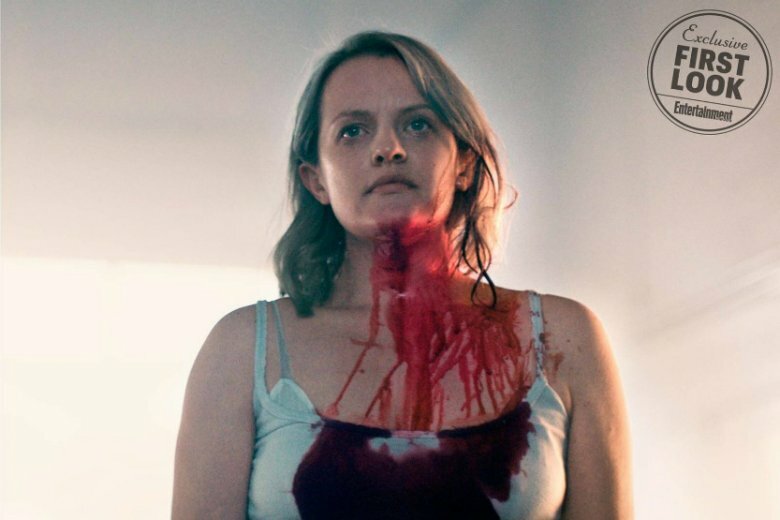 The second season of The Handmaid's Tale will truly venture into uncharted territory. While the first season was adapted from Margaret Atwood's 1985 novel, the new season will expand upon the source material in entirely new ways. Atwood did, however, have some input about the direction as a consulting producer. Entertainment Weekly has the first images from season 2 (below), and they definitely paint a haunting picture. 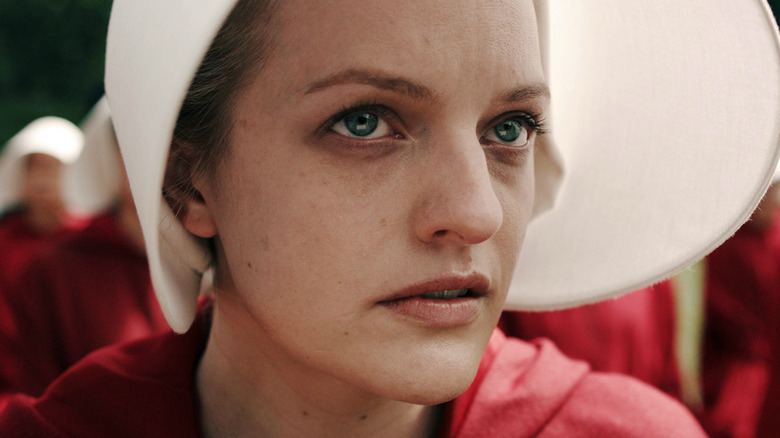 The first season came to an end with Offred (Elisabeth Moss) pregnant and being driven away in a van controlled by the Republic of Gilead. But it's not yet clear if she's on her way to severe punishment or to a new life. "Margaret and I had started to talk about the shape of season 2 halfway through the first," said showrunner Bruce Miller. "The biggest barrier of season 2 was season 1. You sort of intimidate yourself. But at a certain point, you can't spend all your time second-guessing things. Instead, you just have to remember to try and tell a good story." 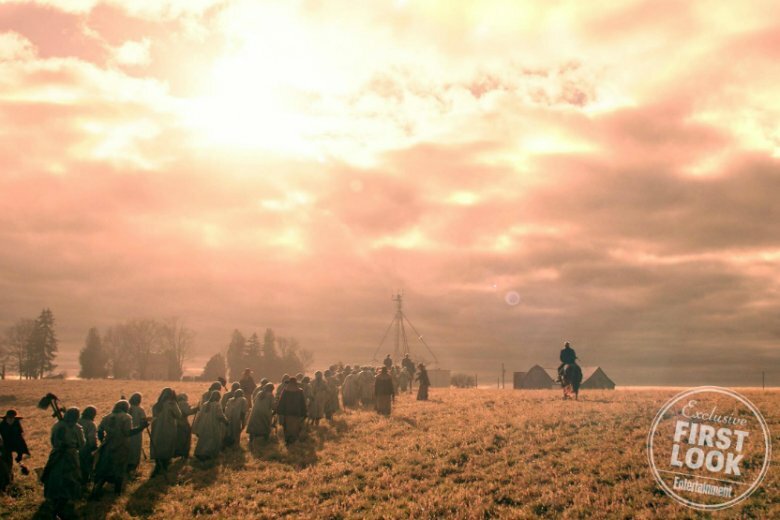 Although Miller didn't reveal many details about the upcoming season, he did say it'll delve into the lives of refugees who have been able to escape Gilead along with those who have been exiled to the polluted and contaminated areas known as the Colonies. 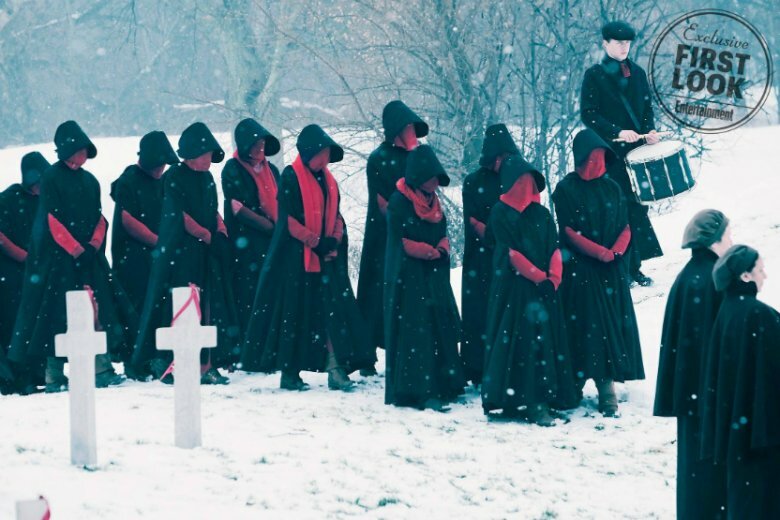 One of the new photos show a handmaid's funeral in Gilead, which is a creepy affair. "Everything from the design of their costumes to the way they look is so chilling," Miller said. "These scenes that are so beautiful, while set in such a terrible place, provide the kind of contrast that makes me happy." He also teased that Elisabeth Moss, who won an Emmy, a Golden Globe, and a Critics' Choice Award for her performance in the first season, will be even more impressive this time around. "Lizzie is such an incredible partner on this with me," he said. "Sometimes while writing the scripts, I just really wanted to surprise her. She's even better in season 2, if you can believe it." The Handmaid's Tale season 2 will debut on Hulu in April.